LG just couldn’t wait until February 21. They have already released a case for the upcoming G5 flagship. LG has released a Quick Cover Case for the LG G5 which doesn’t officially exist yet. The G5 is going to be announced on February 21 at MWC. The case itself has some kind of mesh cover, which allows text to be readable from the screen and touch inputs to work. This enables phone call and alarm control without opening the case. 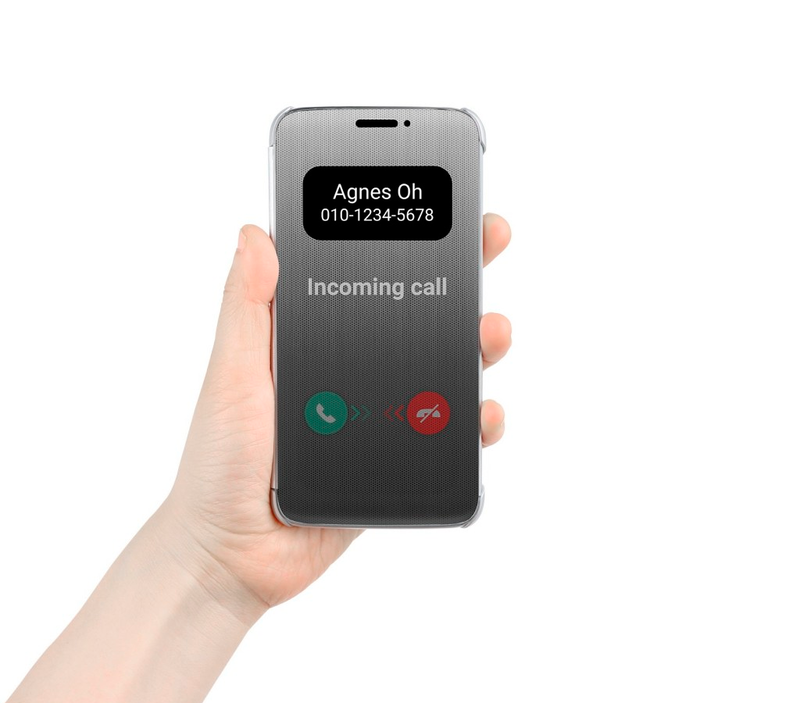 LG also reveals that the G5 will have an always-on display as the case will always display time and notifications through the little window. The phone is not visible in any of the case images so the possible body material change is still unconfirmed. According to rumors, LG will ditch the plastic in favor of a premium metal body. Also rumored are a replaceable battery and powerful specs including Snapdragon 820 SoC.